In this guide we will show you how to setup your Windows System so it will automatically start up all of your MT4 terminals upon system boot. You should have all the necessary files inside your ForexVPS.net System but you can also download them here (zip password: forexvps). Before starting make sure that all of yours MetaTrader 4 terminals are currently running. Run [StartupAdder.exe] - that program is located in the [C:\] folder of your ForexVPS.net Windows Server. StartupAdder will automatically generate [startup.cmd] file (in the same folder) which will contain the paths to MT4 terminals. 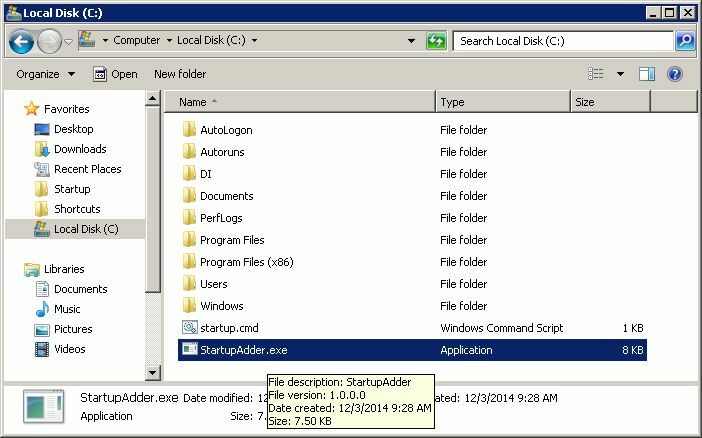 Make sure that StartupAdder generated valid startup.cmd file. After generating startup.cmd file you should see how many MT4 terminals were added in the console output. You can also manually check startup.cmd file by Right Mouse Clicking on it and choosing 'Edit'. 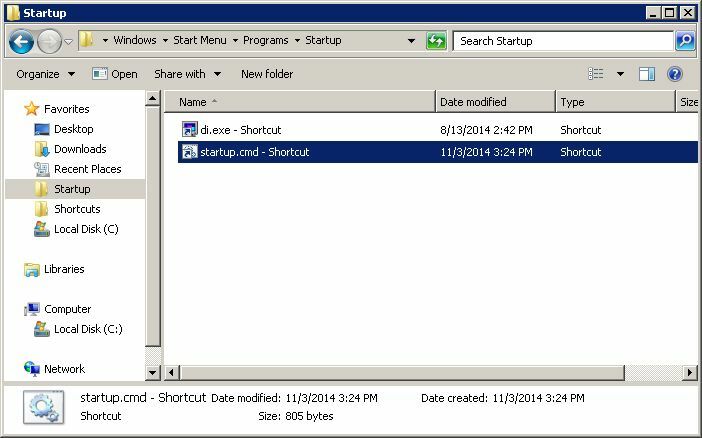 Now make shortcut to startup.cmd inside the Startup folder. You can find this folder @ Favorites (left side). Just copy the [startup.cmd] file from [C:\] folder, go to [Startup folder], Right Mouse Click inside that folder and choose [Paste Shortcut]. Run [AutoLogon.exe] - program that is located inside [C:\AutoLogon\] folder. Put your [VPS password] into [AutoLogon] - please note that whenever you will change your VPS password you should update it here as well. You can now test your startup setup by restarting your system. After Windows starts it should automatically startup all of your MetaTrader 4 terminals.